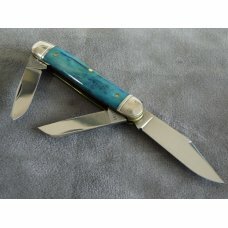 Item # 31808 : Great Eastern Northfield Calf Roper Blue Camel bone SFO. 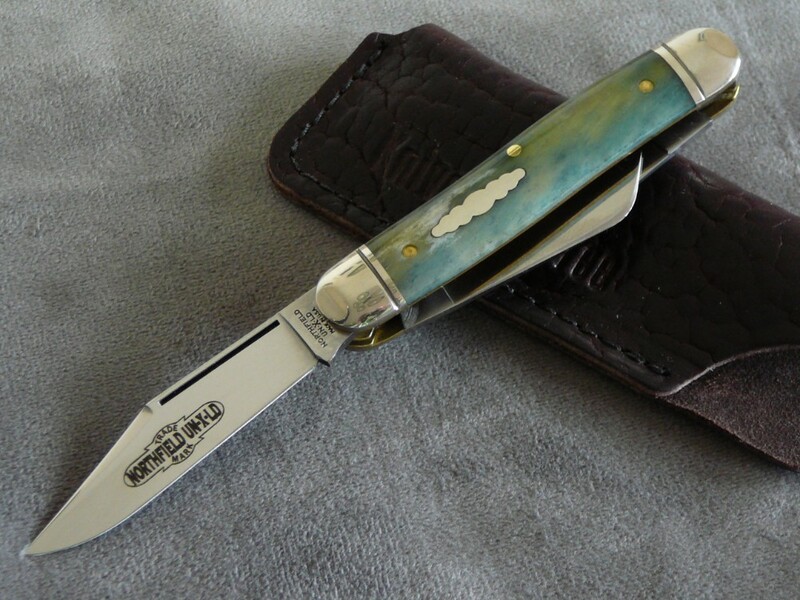 RARE and beautiful! 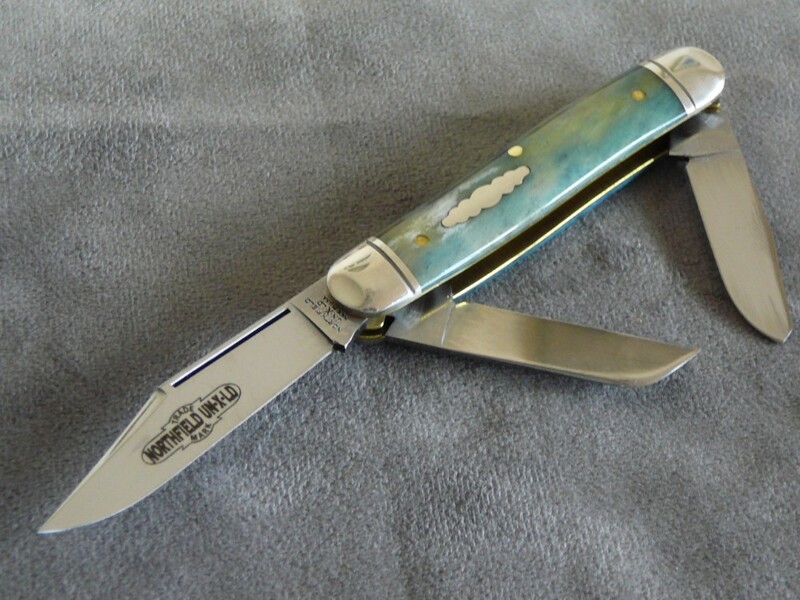 This is the knife you'll receive. 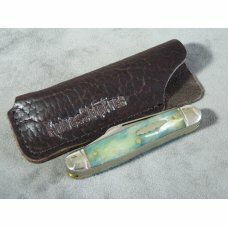 Comes with Buffalo leather pouch -not included by GEC. 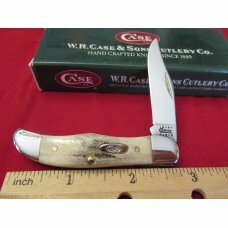 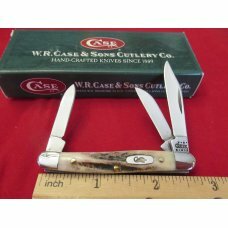 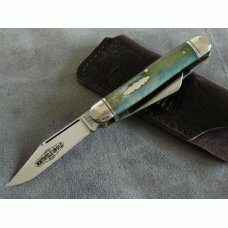 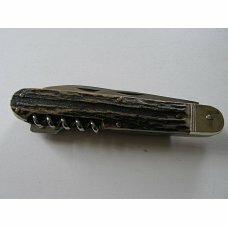 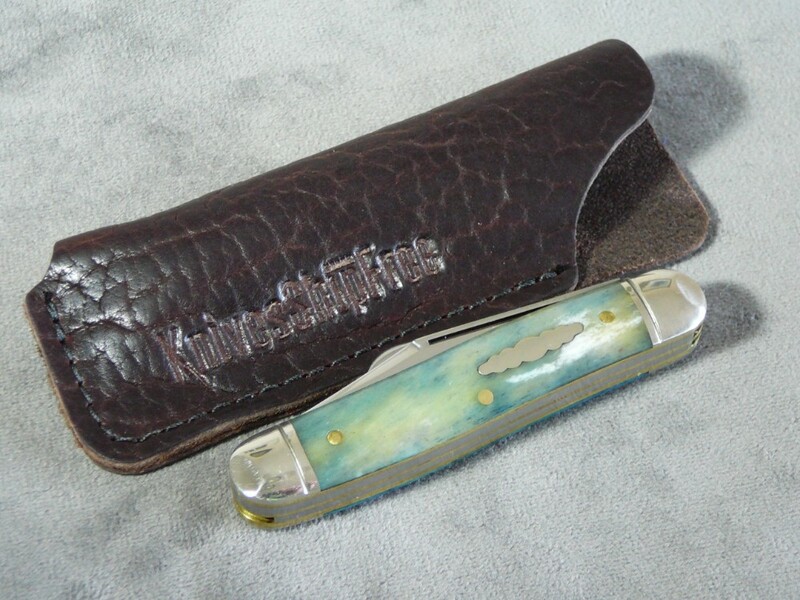 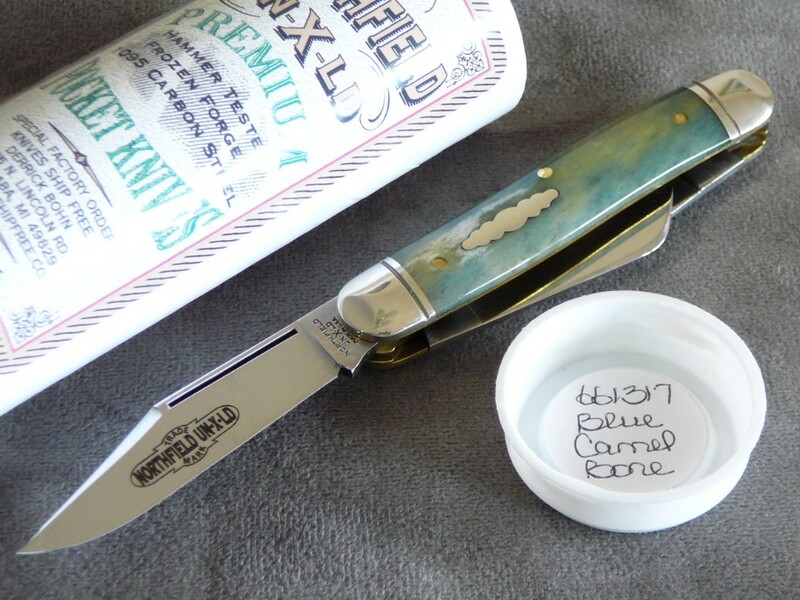 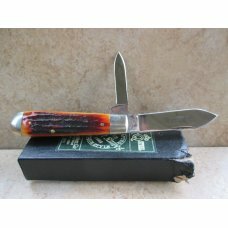 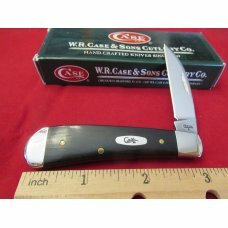 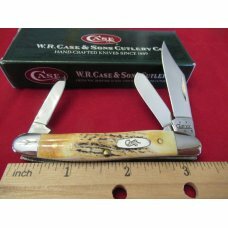 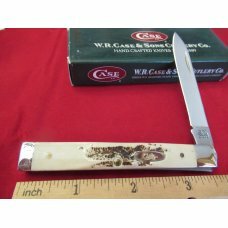 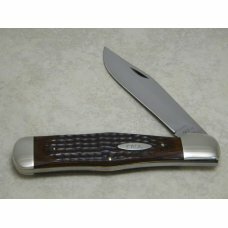 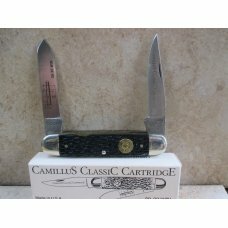 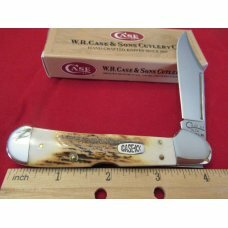 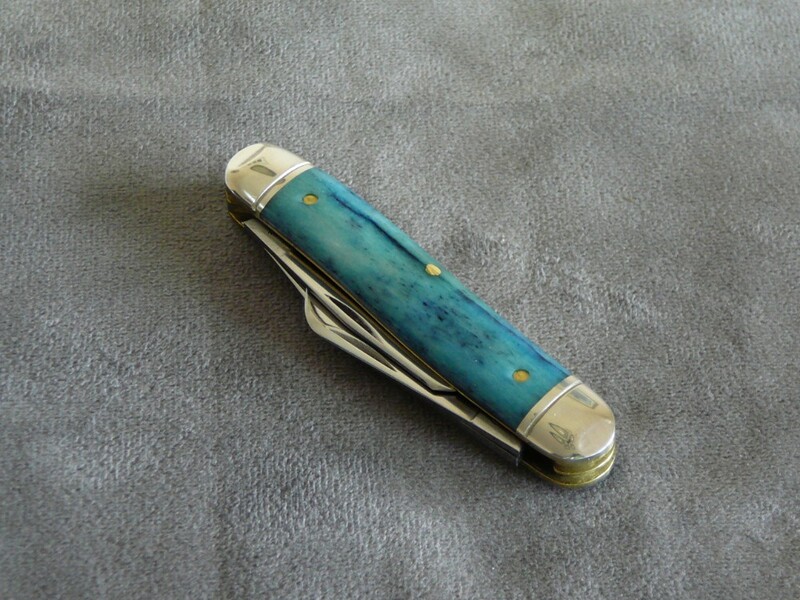 Please Note: (If you are a new GEC collector) GEC only made Blue Camel Bone handled knives (SFO) to KnivesShipFree. 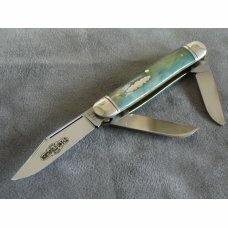 ALL are special value to collectors and users. 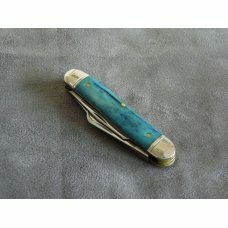 Hard to find them for sale. 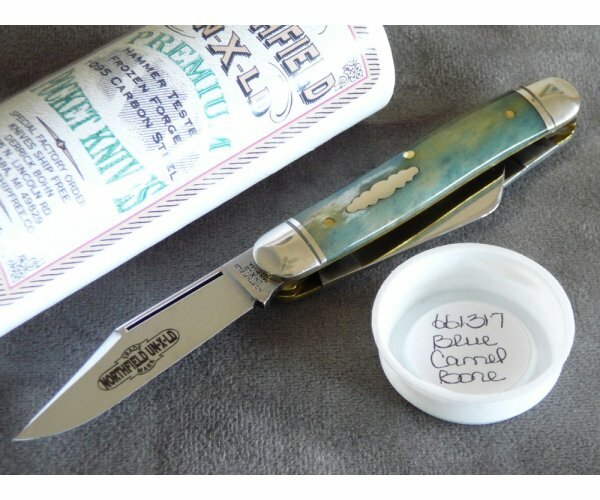 I believe this issue is the ONLY with three blades. 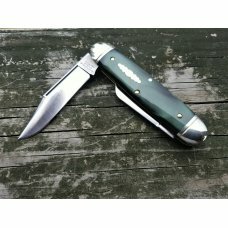 Big enough for comfortable use and small enough for everyday carry. 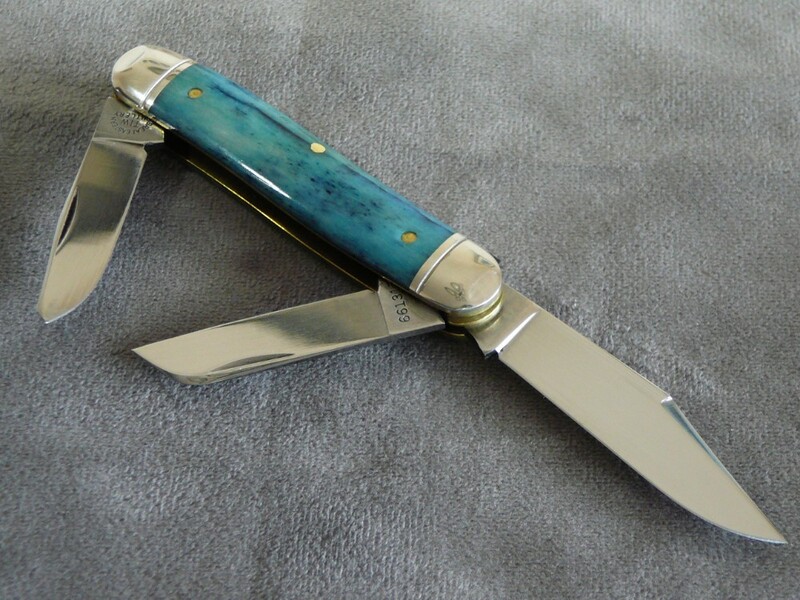 Tons of character on this bone.